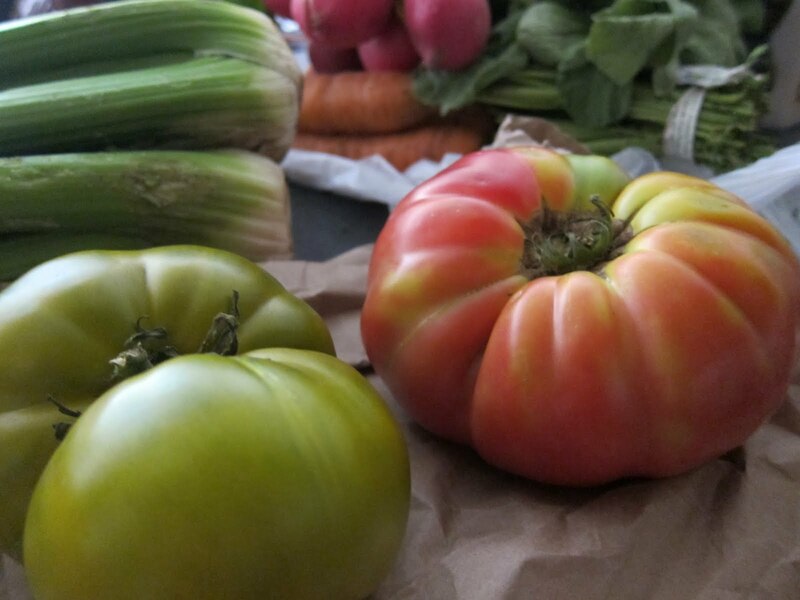 We love heirloom tomatoes here. Love them. Love how they can look weird. Love how they come in yellow, red and green variations. For something not always pretty, they do taste great. We’ve been eating them for two weeks now, care of our local growers. Need to fit just a few more in before they go away for the season! < Previous Race Day: Rain Rain & More Rain! We've had very few heirlooms out down here to so far!! I am glad to hear that the season has started!!! We've only had them 2 weekends here. The plan is to eat as many as possible over the next few weeks!